Just 100 metres from Therma Beach, Hotel George is located in the town of Agios Kirikos, on the island of Ikaria. It offers a sun terrace with tiles and a garden. 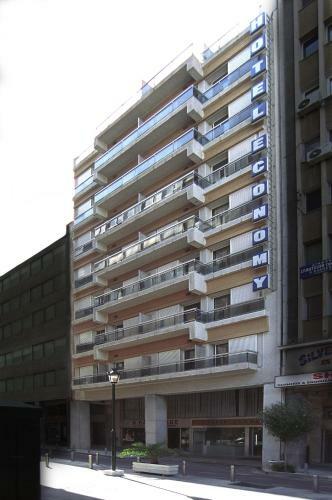 Offering a balcony, all rooms are air conditioned and come with a TV and a fridge. 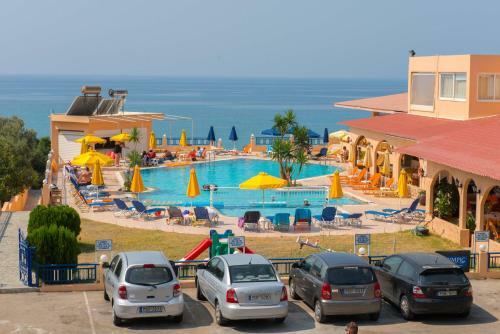 Located 60 metres from Therma Beach, Oinoi Hotel features a sun terrace and garden. 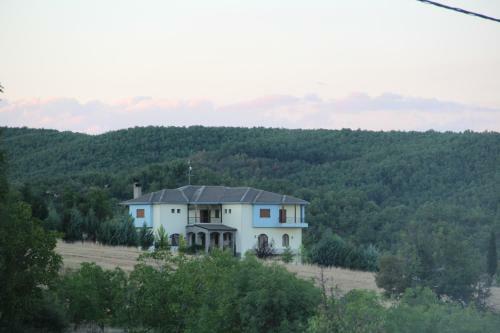 It offers air-conditioned rooms with free Wi-Fi and mountain views. It is situated in in Agios Kirykos in Ikaria. 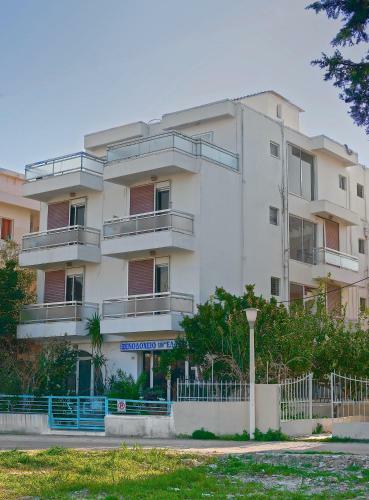 Located just 15 metres from the beach, Lydiamare in Therma Village offers self-catering accommodation with Icarian Sea views. Free WiFi is available throughout. 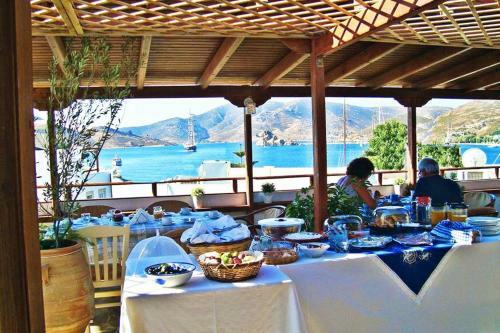 Grikos Hotel is a traditional Patmos hotel, located 30 metres from the beach of Grikos bay. It features a roof garden with views of the Aegean Sea. Free Wi-Fi is available in rooms and public areas. 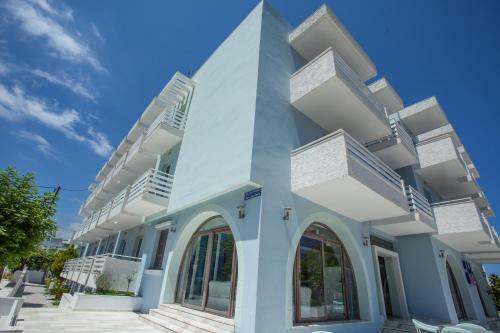 Located 100 metres from the beach of Kos Town and just 200 metres from the port, Veroniki Hotel features air-conditioned rooms with views to the Aegean Sea. Bars and restaurants are within a 2-minute walk. Set amidst a lush garden, Sea Melody lies just 40 metres from the sandy beach of Lefkos Beach in Karpathos. Offering free Wi-Fi in its public areas, the property features self-catering units with a balcony or terrace overlooking the Aegean Sea. Surrounded by a garden of palm trees and colourful flowers, the traditionally-built Joanna Hotel lies just 100 metres from Grikos Beach in Patmos. 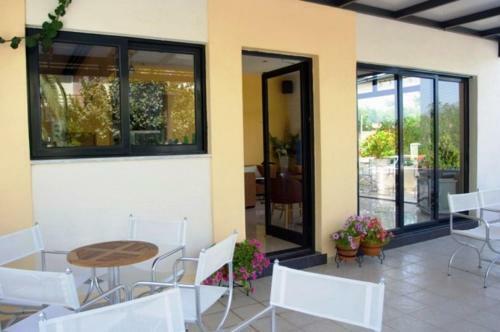 Its self-catering accommodation opens out to a balcony overlooking the garden. Situated just a 10-minute walk from the centre of Kos Town, Galaxy Hotel offers air-conditioned rooms with free Wi-Fi and a private balcony. It has a snack bar with a large satellite TV and serves continental breakfast. Perched on a hill, the family-run Sunset Hotel is located 150 metres from the sandy Lefkos Beach in Karpathos and within a short walk from taverns and shops. Only 100 metres from Psalidi Beach and within 1 km from Kos Town, Olga Hotel features a bar and a sun terrace with free Wi-Fi access. 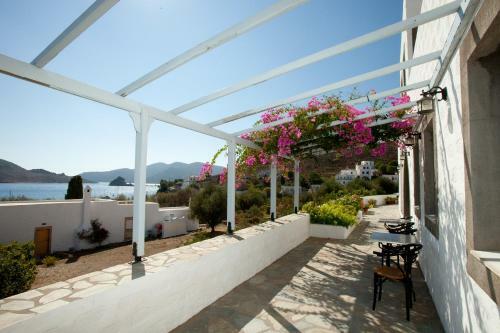 It offers rooms with a balcony overlooking the Aegean Sea or the mountain. Family-run Marie Hotel is located 150 metres from the beach of Kos Town and just 300 metres from Kos Harbour and the castle. It features a bar and air-conditioned rooms with free Wi-Fi. Within 800 metres of the centre of Kos town, the family-run Esperides offers self-catering rooms with free WiFi. It has a swimming pool and a bar, and provides free on-site parking. 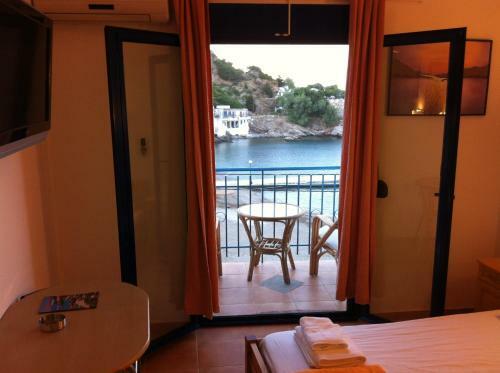 Hotel Esperides offers bright and spacious accommodation. 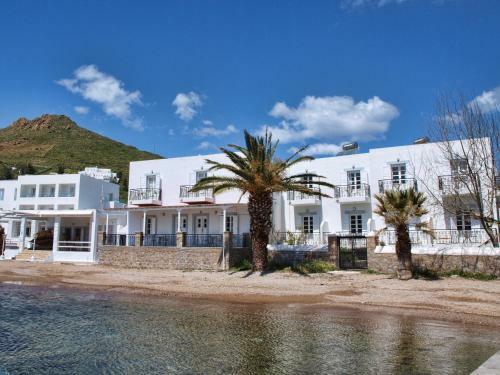 The Hotel Vasilikos Beach is located in the bay of St Nicolas 150 meters away from two sandy beaches. It is surrounded by a green garden and offers air-conditioned rooms. Situated in the centre of Kos Town, the family-run Hotel Hellas features comfortably furnished rooms with balcony. 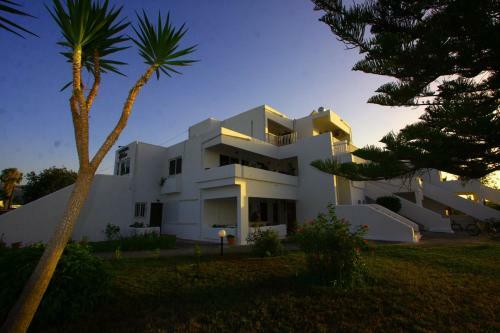 It is 500 metres from the beach, and 400 metres from Kos port. Each of the Hellas guest rooms has a fridge and TV. 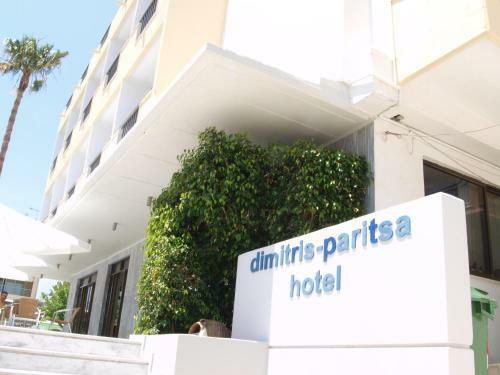 Dimitris Paritsa is a family-run hotel with a friendly atmosphere, located in the centre of Kos. Many restaurants, bars, shops and cafes surround the hotel. All rooms are en suite and air-conditioned. Situated in the centre of Kos town, Theonia Hotel offers air-conditioned rooms and a swimming pool with sun terrace. It serves buffet breakfast and has a caf�-bar. The rooms of Theonia are bright and airy, and feature a balcony. Centrally located in Kos Town, only 200 metres from the port, Oscar Hotel features a swimming pool, a stone-paved sun terrace and a poolside bar. The beachfront Kos Bay Hotel is right in the centre of Kos Town and across the new Marina, just a 10-minute walk from the port. 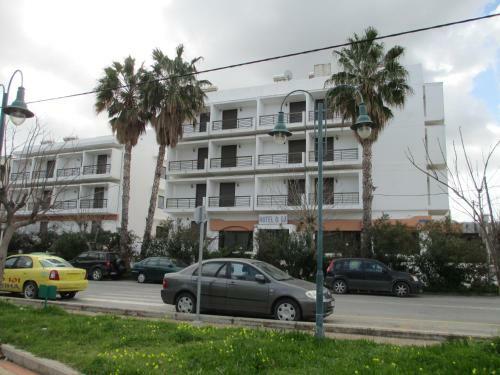 Athinoula Hotel is just off the main street and 250 metres from the beach. A variety of bars, taverns and restaurants are within easy reach. The hotel offers rooms and apartments with refrigerator and kitchenette. The family-run Hotel Anastasia is located on the outskirts of lively Kos Town, 10 minutes� walk from the nearest beach. Hotel facilities include a fresh-water swimming pool. This hotel in Grevena is 500 metres from Kosmati village. It has a lounge with a fireplace and a restaurant. Free private parking is available. Located 1 km away from the main town of Kos, Boheme Hotel offers a swimming pool. The beach of Lambi is just 200 metres away. Boheme rooms are bright and spacious. Each air-conditioned unit comes with a fridge. Located 200 metres away from the main square of Kos town, Phaethon Hotel offers air-conditioned rooms with balcony. It includes a bar and a restaurant. Kos port is within 500 metres. This family-run hotel is close to the port of vibrant Kos Town, and only 200 metres from the beach. 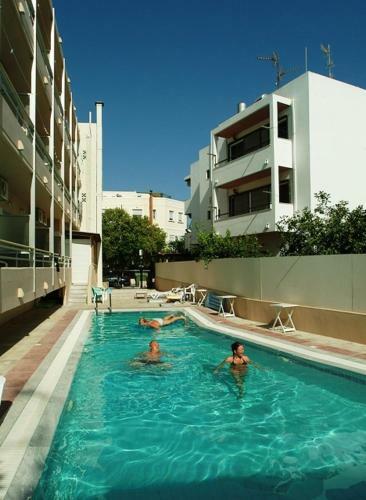 It offers a pool with pool-side bar and children�s pool. Imperial rooms feature a private balcony, minibar and private shower. 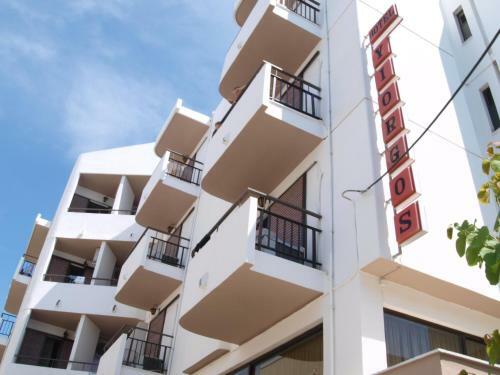 Situated 900 metres from Kos centre, Leonidas Hotel & Studios features a pool and rooms with balcony. It offers free Wi-Fi access in the reception area and free private on-site parking. 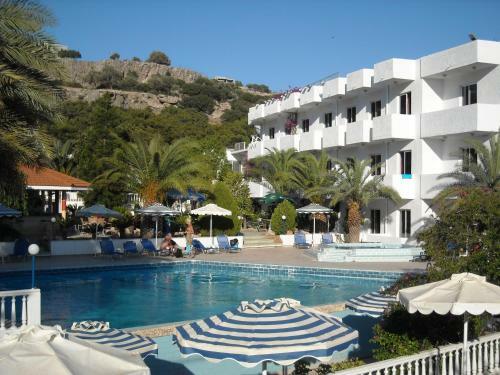 Offering a pool and a snack bar, Angela is located near the centre of Kos Town. 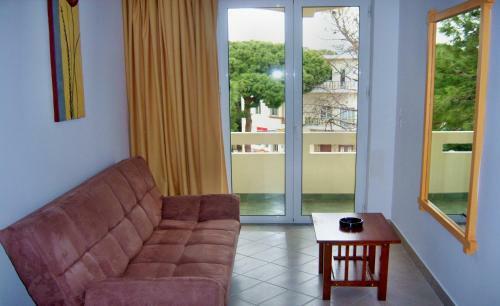 It features self-catering accommodation with a furnished balcony. Free WiFi is available in public areas. The property is 700 metres from Amphitheatre. The family-run Karis Hotel is located in Kos Town, within 400 metres from the pebbled beach and just a short walk from restaurants and shops. Its air-conditioned accommodation opens out to a private balcony overlooking the fragrant garden. 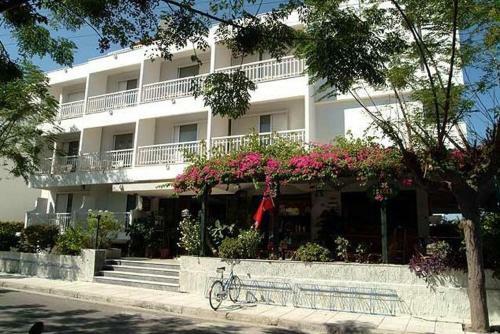 Just 50 metres from the beach, Achilleas Hotel is located 200 metres from the centre of Kos Town. 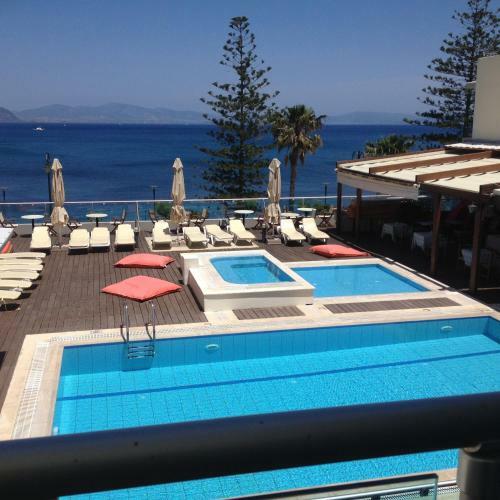 It features a bar, free Wi-Fi and accommodation overlooking the Aegean Sea from its balcony. 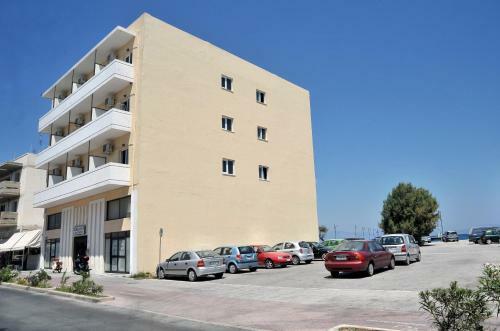 Located within a 5 minutes' walk from Kos Port and just 150 metres from the beach, Fantasia Hotel Apartments offers a bar and rooms with kitchenette and a satellite TV. Free WiFi is available in the entire hotel. Poseidon Hotel is 800 metres from Kos Town, and 200 metres from the closest beach and the promenade. Offering free Wi-Fi in all areas, the hotel features an outdoor pool and air-conditioned rooms with large balcony. Situated within a 3-minute walk from the promenade of Kos, and 40 metres from the ferry terminal, Catherine Hotel features rooms with free Wi-Fi. Restaurants, shops and bars are within 100 metres. 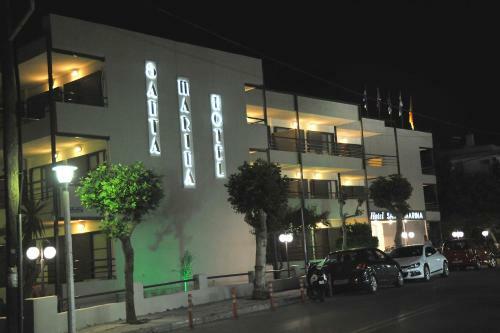 Located in Kos Town, Captain's Hotel is 200 metres from the nearest beach and Kos Harbour. It features a bar and accommodation with air conditioning. Breakfast buffet is served daily next to the pool. Enjoying a quiet location in the town of Kos, Santa Marina Hotel displays a live cosmopolitan atmosphere combined with traditional warm hospitality. Pavlos Hotel is located just 300 m. from the sandy beach, 500 m. from the centre and port of Kos. It offers a 200 square-metre swimming pool and a separate one for children. 10, Mandilara & Amerikis str. Located right across the main beach of Kos town, Bristol Sea View Apartments offers self-catering accommodation with air conditioning. It includes a pool with hot tub and provides free Wi-Fi access. 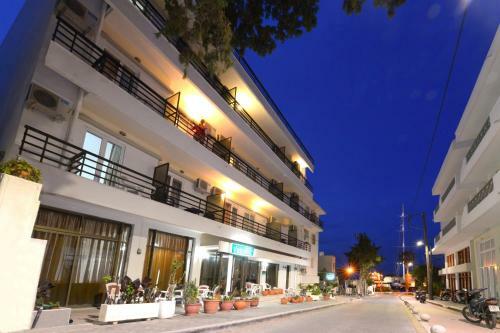 Only 50 metres from the beach and the marina, the family run hotel Yiorgos is situated in a quiet area in Kos Town. The port and the centre are a 10-minute walk. 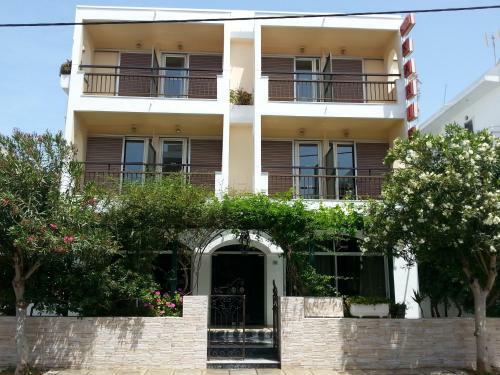 Located 800 metres from the beach in the Ampavris area of Kos Town, Eftihia Apartments offers self-catering accommodation with free WiFi and balcony overlooking the garden and the mountains.